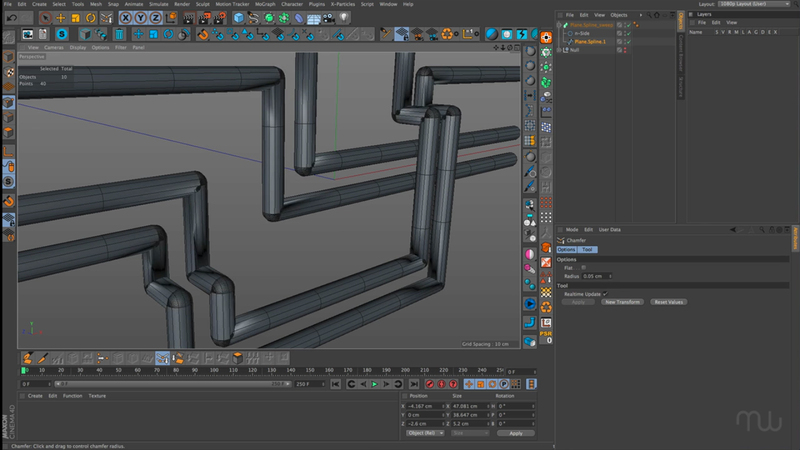 Pipes and Railings in Cinema 4D from Motionworks on Vimeo. If you are looking for an even easier way to create pipes and rails in C4D, check out the Pipes Generator from The Pixel Lab. Need to create air ducts? The Pixel Lab has an Air Duct Generator too.